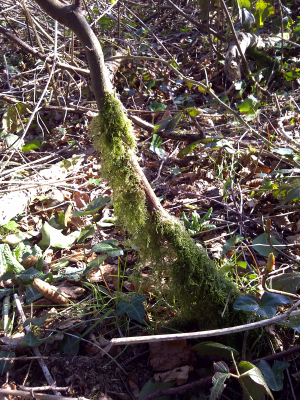 Moss found growing up the stem/trunk of a young sycamore. I was thinking Spagnum but not sure if that grows up stems as this example has. Any suggestions?